shopped. 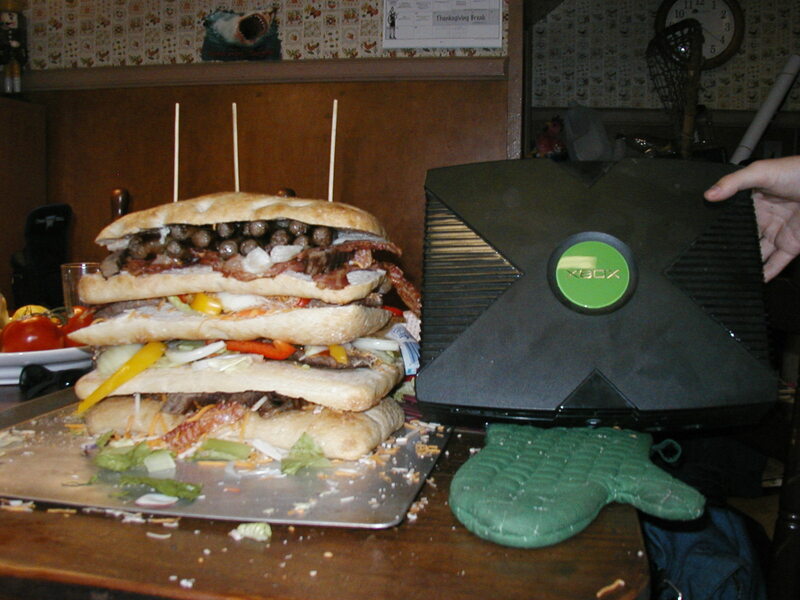 nothing is as big or heavy as an xbox. That joke still isnt funny given that the PS3 is larger than an Xbox. The ps3 may be larger than an Xbox but it is not as heavy. The Xbox contains three pounds of dark matter. And everyone knows one pound of dark matter weighs 10,000 pounds. When did they make xbox mini? That must be a cardboard cutout of an Xbox. Everyone knows no mortal can weild the mighty Xbox with only one hand.